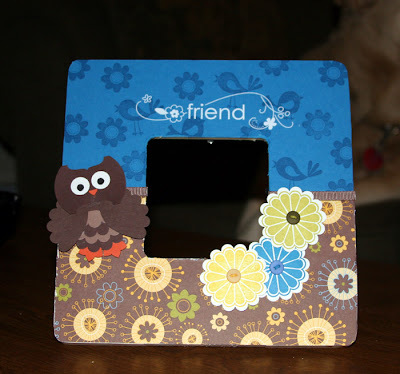 Here is the third project we will be making at my class on the 29th. It is a treat bag using the the top note die for the big shot. I was totally inspired, again, from my upline Angie. She is so very talented and has a TON of great ideas! If you dont have the big shot, you need to get one. I dont know how I lived without this top note die. I use it for EVERYTHING! There are so many different projects you can make with it, is Amazing! So there it is, if you scroll down a few you will be able to see the other two projects I already posted that we will be making. In case you forgot, its March 29th at 2:00 in turners at my apartment. Proceeds will be donated to the Franklin County Relay for Life. Please RSVP asap so I can be sure to have materials ready for everyone. Please bring your own adhesive for those of you planning on attending. Hope you like it. I will be posting the other two projects either late today or hopefully tomorrow. Thanks for stoppin by! 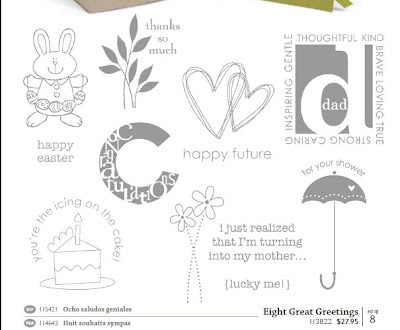 My Favorite thing about Stampin' UPs stampin write markers is that they are easily washed off of walls and children. Yes, they are FABULOUS for stamping and making your images colorful, and well my kids think they help make my walls not so blah... Thats right. I have been scrubbing my floors and walls getting all the red out. I dozed off on the couch cause I was up half the night with my 2yr old. When I woke up, I saw this lovely face peak from around the stairs. I went up the stairs to find red marker EVERYWHERE! I should have taken pictures for you, but I didnt think about it until I was done cleaning it all. Thankfully the marker comes off with some water, you dont even have to really scrub it if you do it right away. Well thats all for now, if I get a chance later I will post a stamping related project, for now, im going to try not to strangle my boys. Thanks for stopping by. Enjoy this beautiful day! Yep, Thats right! My battery charger for my camera is supposed to be here today! I have done a lot of stuff (well compared to what I usually do) and have plenty to post! I just havent been able to take pictures of it. Now i will be able to so expect to see some posts over the next few days! My husband will be thankful its here. He doesnt know that ive been using my cell phone to take pictures and send them to my sil. Once he finds out how much our bill is, he will really appreciate me having a camera battery. Just a Reminder... There are only 11 days left of SAB so get those orders in now. 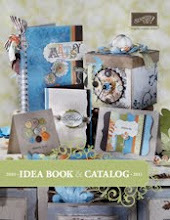 Dont forget you can shop online through my website www.laurafiske.stampinup.net and get your sab products. I am also having a class on the 29th. The class fee is $5 and we will be making 5 projects. Proceeds will be donated to the relay for life! Call or email me to RSVP! Have a great day! Hope you stop back later to see some new stuff. Stampin' Up has made signing up to be a demonstrator even easier. Not only do you get a 15% discount and your choice of any stamp set from the catalog when you sign up during sale-a-bration, you now can pay for your starter kit ove 3 months. You can't sign up online if you want the payment plan, you have to fill out paper work and send it in. In order to get the 15% discount, SU has to receive your paper work by March 31st (not post marked by then, received by then). So heres how it looks. This is how your payment plan would work if they recieve your sign up sheet before march 31st. This again allows you to take advantage of the 15% discount as well as receive a stamp set with a value up to 47.95 for free. This is how it would work if you wait until April to sign up to be a demo. You dont get the 15% discount or the free stamp set. So, if doable, I would recommend signing up during SAB as that is the better deal! Contact me ASAP with any questions or to get your paperwork started and sent in. If you want to add the Stampin' Memories add on, you will pay the $50 with your first payment. This offer is available for a limited time and ends April 30th, so take advantage now. Ive never seen a promotion this good before. Im not going to have any pictures to post anytime soon. I got a new camera a few months back and it was a used dslr. Well, i dont have a battery charger for it. I kept putting off buying one and now my battery has finally kicked the bucket. I have to order one online so Im hoping to do it today and maybe have it by the end of the week.... Lets hope so! So no pictures today. Thats ok though. We have my beautiful niece Makenna for the weekend so I wasnt going to have time to make anything right now anyways. I will though and when I get my bettery charger Ill have a ton of stuff to post! It's beautiful outside.... get off my blog and go enjoy it! Another quilt card. My sil loves this paper and my other quilt card so she thought I should make one with the Rockabilly DSP. I love it! Well... I just Love that paper period. I figured it wouldnt look so good with the butterfly I used in the previous card and I just got the Little somethin hostess set that has this oh so fabulous rockstar stamp and I thought it would fit perfectly! I tried stamping it in red and thought about it in green and black but it just wasnt gonna stick out like I wanted it to. So I decided to emboss it in silver. Imo, it came out Awesome! 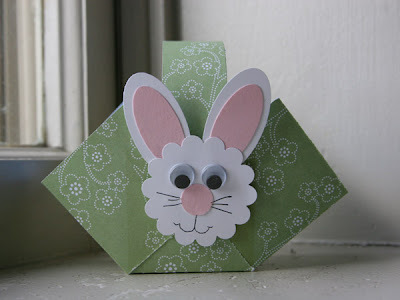 These cards are so simple and come out so great...i think I just might make a ton of them! lol. well Im pretty tired this morning so I think Im gonna go chill on the couch and watch mickey mouse clubhouse with kaleb. Thanks for stoppin by! Have a Great Day! So here it is, the second card we will be making at my class on march 29th. I definately cant take credit for this card. I totally cased it from my very talented upline Angela. You can check out her blog here. 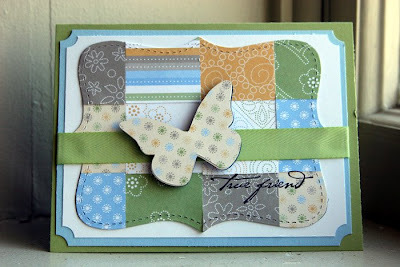 This card uses the very wonderful sab papers and ribbon. You can only get these papers and ribbons during SAB--its almost over so order now! I used certainly celery, bashful blue, and whisper white cardstock. 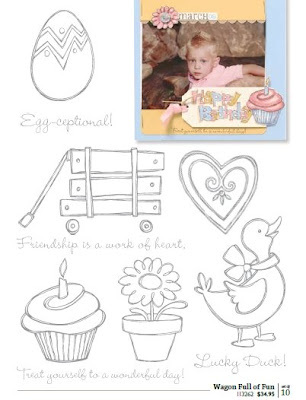 The true friend phrase is from the simple friendship stamp set--very cute set. 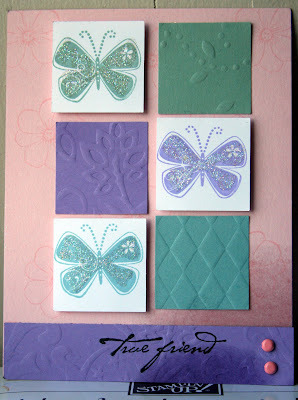 I used the big shot to cut the top note and the butterfly and popped it up on dimensional. Other than the ticket corner punch thats about it. It was very simple, but I love it! 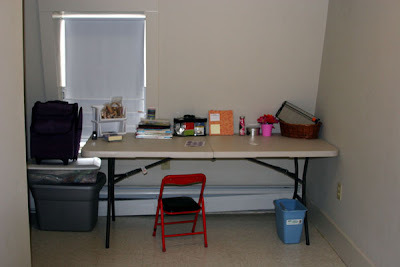 I love having my new craft room! I get so much more done. I dont actually get a lot of time in there but I can sneak away for 5 minutes here and 5 minutes there. Those 5 minutes add up and I get at least one project done a day...which I can live with! Hope you like the card and I hope to see you at the class...it will be fun and will help a great cause! THanks for stoppin by! Have a beautiful day! How cute is this paper? I love it! I definately have to get more of it! Since I ordered this paper I have wanted to make a frame out of it. This is what I came up with. I made the owl out of SU punches and I used the petal pizzazz and cheap talk stamp sets to make the flowers and stamp on the pacific point. I used a rub-on from last years sale-a-bration set--yes i still have 2 packs, but I love them. As you can see i also used buttons in the middle of the flowers, they just needed something. They are popped up on dimensionals and I think thats about it. There isnt a picture in it, well because I didnt want to put off posting it until later cause I never would have gotten it done. I really like how it came out. I think I just might make another one...we'll see cause I also want to make one with my parisian breeze and rockabilly dsp. I LOVE those dsps too... I really like almost all of them and hate to use them, but there is no point in buying them if they are just gonna sit there! Ok well this is it for today. Short, Sweet, and to the Point. Im having a class March 29th at 2:00 to help raise money for the Franklin County Realay for Life. I sent out my email to everyone yesterday letting them know but I didnt have my samples done yet of what we would be making. I still dont have them all done, but this is one of the cards we will be making. It uses the new embossing plates, dazzling diamonds glitter and some brads as well as some stamps obvoiusly. It isnt supposed to have that dark spot down at the bottom. I took it to show my mil and had a cruet of salad dressing in my purse apparently next to it, and Im thinking some of the oil got on it. I hope not cause then that means there is some in my purse--I havent checked yet--but thats the only thing I can think of that would have left a mark like that. I got the idea for this card from my meeting with my upline and sidelines the other night. 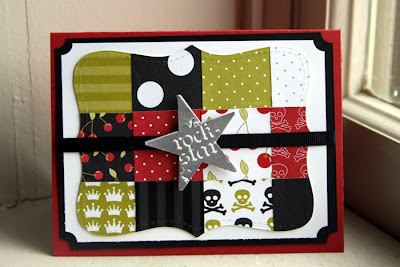 My very talented sideline Melody made this card, but she used different colors and the trendy tree stamp set. I love that set, but dont have it... so I had to improvise and I must say I think I did a great job! haha. So for those of you coming on the 29th, this is a card you will be making. So in the spring/summer catalog they have a picture of hair clips in the growing up session. Well I have been dieing to make some of them. So I was out the other day and of course had to stop at michaels and joanns and I got a bunch of new brads and flowers and stuff like that. 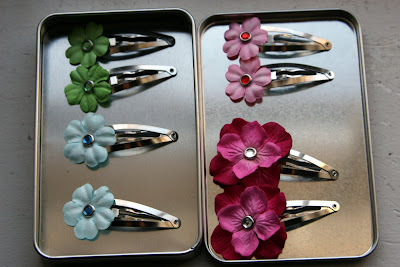 I found some hair clips and have been goin crazy ever since! Here are just a couple of the ones I made. I have seriously been going crazy making these things. Let me know what ya think. So, for those of you that know me, you know that my craft room was basically a coat closet...well not basically, it was a coat closet. It was very frustrating cause if I wanted to work on something, I had to lug everything out to the living room then put it all back when I as done. I wasted most of the little stamping time I get taking stuff out and cleaning it up. So a couple weeks ago we decided to move Kaleb into a regular bed and put him and Wes in the same room. This opened up a spare room for us. Well its been empty ever since. Scott went away this past weekend to PA and so i decided I was done having an empty room. 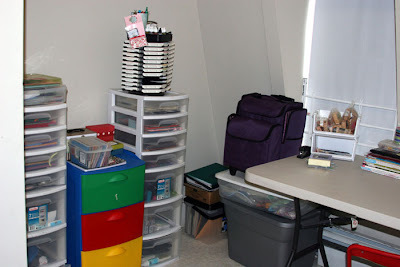 I turned it into a craft room. Well Im working on it anyways. I still need some shelves and stuff like that, but it is WAAAAAAAAAY better than a closet. Again, it doesnt look like very much right now, but it will after i get around to gettin some stuff. There will be a chair and tv in there so Scott can at leat be in the same room with me and we can kinda watch tv together at night. That was one of the conditions, he didnt want me to just disappear and never see me so we comprimised. And thats fine, I rather it that way anyways. This is all just in time for all the new stuff I ordered. I finally got my bigshot! I am soooo excited! I ordered a bunch of new stamps, punches, and all sorts of goodies. I also preordered stuff from the new occassions mini the other day, its the first time I preordered on the first day it started. I now know why I dont do that, I forget tons of stuff that I wanted or order something that in reality I know I probably wont use very often, but oh well. I will be geting more new stuff so Im not complaining. I am however putting my self on an ordering freeze... I have spend so much money the past few weeks on stuff its crazy! So I am banning myself for awhile. I need to start using the stuff I have before I get more! Well thanks for stopping by! Have a Great day! Act fast before its too late! The starter kit at 15% off that's $169.00 for over $355.00 worth of products.You will also receive a free stamp set of your choice from the catalog that's another $47.95 value. So you will be receiving over $400.00 in products for only $169.00. 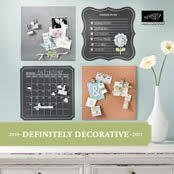 When you become a demonstrator you will receive monthly magazines from Stampin up, specials discounts and much more. This offer is only good until the endof March so contact me today to ask me any questions you might have. Stampin Up Preorder for Customers! I was doing really good about updating my blog... Then I dont know what happened. I had stuff to post, just never got it done. So I am going to get back into it. Stampin' Up just released their mini catalog to demonstrators for preorder--there are some fantastic stamps in this one. That means, we get to order stuff before customers do.... (another great reason to be a demo). They have decided to let customers preorder from a selection of stamps. These are the sets you can order. Aren't they cute? 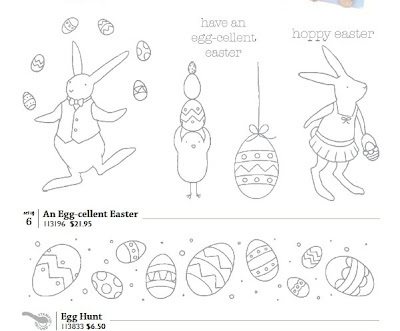 They are perfect for all those easter cards and treats you have to make. Even better, you dont have to wait for the mini to start April first to order them, you can have them before that! To place your order, email me at laurafiske89@comcast.net or go to my online store. Hope everyone has a great day! If your from the northeast, be careful in all that snow we have! oh ya, dont forget to stop by the next few days.... I will definately have more to post!